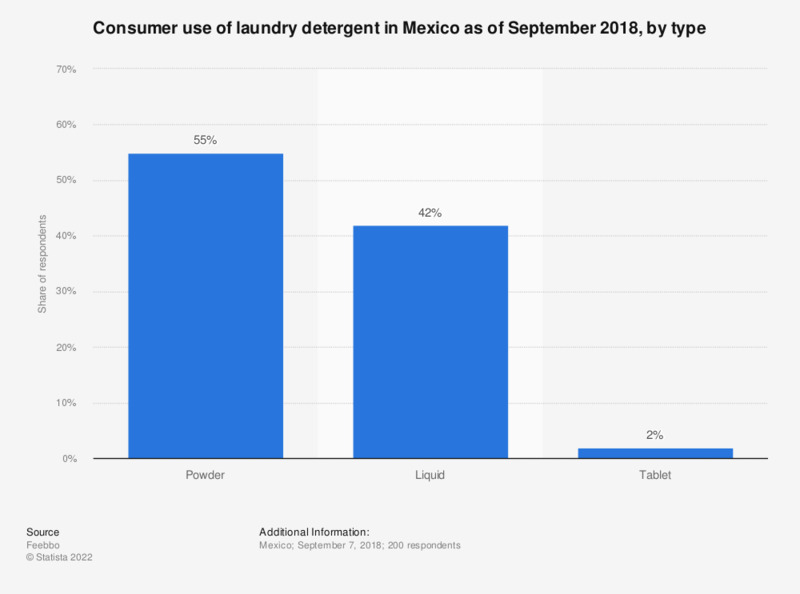 This statistic shows the consumer use of laundry detergent in Mexico as of September 2018, broken down by type. During the survey, 55 percent of respondents in Mexico said they used powder detergent to for laundry. The source does not provide information neither about the survey type, nor about age of the respondents.